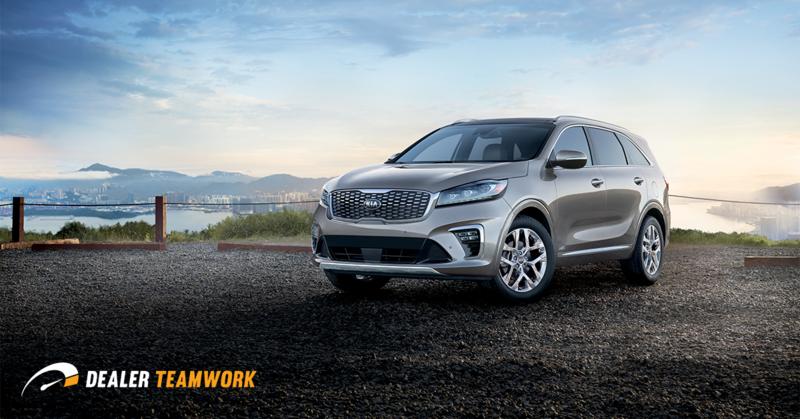 This week, Dealer Teamwork was added to the official Kia Digital Advertising Program. Dealer Teamwork’s current Kia clients now have access to the same great programs, but now with full DAS benefits! Clients, old and new, will have access to the entire suite of MPOP™ related products and services through Dealer Teamwork, including New, Used and Service marketing content management tools and landing pages, Dynamic Paid Search, Facebook Share, Email Builder and more with full DAS eligibility. This new OEM partnership is the latest in a string of other OEM strategic partnerships that Dealer Teamwork has made to help bring industry-leading digital marketing products and services to automotive dealers and OEMs across the country. For more details on the program, or get signed up, visit www.dealerteamwork.com/kia-marketing. Also, later this month, representatives from Dealer Teamwork will be in attendance for Digital Dealer 25 and Driving Sales Executive Summit and would love the opportunity to meet with Kia dealers to discuss this exciting program.